Eileen M. Cohn, Administrative Law Judge, Office of Administrative Hearings (OAH), heard this matter on November 1 through November 3, 2011, and November 14, 2011, in Fullerton, California. Fullerton Unified School District (District) was represented by Cynthia A. Yount, Attorney at Law, of Parker & Covert LLP. Laura Rydell, Director of Student Support Services, was present throughout the hearing. Student was represented by Robin J. Champlin, Attorney at Law, of Champlin & Sciacca, LLP. Student’s Mother (Mother), was present throughout the hearing. District filed a request for due process hearing (Complaint) on August 9, 2011. On August 26, 2011, OAH granted the parties’ joint request to continue and reset the initially scheduled hearing dates. Based on the parties’ request at the prehearing conference, OAH continued the first day of the hearing from October 31, 2011, to November 1, 2011. Sworn testimony and documentary evidence were received at the hearing. At hearing, the ALJ granted the parties request to file written closing briefs by no later than 5:00 p.m. on December 6, 2011. The parties timely submitted written closing briefs, at which time the record was closed and the matter was submitted. Did Student’s Individualized Education Program (IEP) developed at IEP meetings on April 28, 2011, May 17, 2011, and June 7, 2011, (the 2011-2012 IEP), offer a free appropriate public education (FAPE) to Student in the least restrictive environment (LRE), for the 2011 extended school year (ESY) and the 2011 through 2012 regular school year, such that District may implement the IEP without parental consent? 1. Student is an 11-year-old boy who, at all relevant times, has resided in the District with his parents. During the 2010-2011 school year, Student attended fourth grade at Orangethorpe Elementary School (Orangethorpe), located in the District. 2. Student was first made eligible for District special education services in 2003. At all relevant times, he has been eligible for special education and related services under the category of autistic-like behaviors. District conducted Student’s last triennial evaluation in 2009. His next triennial evaluation is due in 2012. 3. The District elementary school closest to Student’s home is Golden Hill Elementary School (Golden Hill). Student never attended Golden Hill. Student’s IEP team first placed him at Orangethorpe to repeat his second year of kindergarten. At that time, Mother requested Golden Hill, but was advised that Orangethorpe was the appropriate placement because Student required a special day class (SDC) which was not available at Golden Hill. Student received partial day SDC support during kindergarten. In first grade, Student initially was placed full-time in an SDC and then participated in general education with SDC support on an as-needed basis. In second grade, Student was place in general education with SDC support on an as-needed basis. Student was fully included in general education in third and fourth grade with participation twice a week in a social skills class. 4. The IEP team continued to place Student at Orangethorpe, instead of Golden Hill, at each annual IEP through the 2010-2011 school year, governing his first, second, third, and fourth grade years. The IEP form used by the District distinguishes between Student’s school of attendance, Orangethorpe, and Student’s district assigned home residence school, Golden Hill. As part of his placement at Orangethorpe as a special education pupil, Student receives home-to-school transportation services. Until the 2011-2012 IEP, no mention was made of transferring Student to Golden Hill as a fully included general education pupil. 5. The teachers and staff at Orangethorpe are very familiar with Student, and enjoy working with him. Student enjoys being a pupil at Orangethorpe. His peers are familiar with his unique personality traits. Student is generally compliant and will follow directions. Student has a sense of humour. Student possesses a gentle personality. He is generally happy at Orangethorpe, but is prone to bouts of anxiety about whether his performance pleases his teachers and his Mother. His anxiety particularly manifests when presented with a non-preferred or difficult assignment or when he makes mistakes, such as test-taking. His anxiety also affects his ability to sustain his attention to school tasks. His social challenges as a pupil with autism are marked by his single-focused love of cars, and cartoon characters. He is known to greet his peers by introducing himself as Lightening McQueen, or Mickey Mouse. He loves the movie “Cars,” and Disneyland, where he is a regular visitor. He enjoys peers that share his interest in cars, although his disability makes it difficult for him to maintain interest in social conversation that does not concern his singular interest. Overall, he has difficulty with eye contact, social greetings, initiating interactions (including unstructured play) and conversations with peers, discussing non-preferred topics in a reciprocal conversation, drawing inferences, and pragmatics. Student rides the bus to and from school. He is accustomed to, and enjoys, his thirty minute bus ride. 6. Student is challenged by transitions. In deference to his difficulty with transitions, prior to the 2011-2012 IEP, the IEP team discussed specific general education classrooms, with the goal of placing Student with sensitive staff and friendly peers, and preparing in advance for the new classroom. Once his specific classroom placement was known, Mother arranged with the IEP team for Student to meet his new teacher and visit the classroom. 7. The IEP team has been unanimous in recommending that Student be placed in a general education classroom. Academically, Student generally performs at grade level. Student participated in California Standard Tests (CST) with accommodations, and during the 2009-2010 school year scored basic in English language arts and math. Student does have academic challenges arising from his disability which impacts his ability to access grade level regular education, particularly in the area of reading comprehension as it relates to English language arts and math problems. His anxiety also affects his test taking. 8. Student has been supported as a fully included general education pupil with a variety of District supports and designated instructional services (DIS). Student has been assigned a one-on-one aide to assist him in the classroom, and more recently, during recess, on the playground. Student participates in Adapted Physical Education (APE). Student receives resource specialist program (RSP) services in the form of collaboration and consultation between the special education resource teacher and the general education classroom teacher. Student receives group speech and language services (LAS) to work on his pragmatic speech. Student participated in a “Social Compass” curriculum group, a story-based intervention package to teach social skills and social cognition. The social skills group was comprised of neurotypical and special education pupils. The small social skills group met in the SDC and was led by a District special education teacher in consultation with the District’s speech and language pathologist (SLP). The curriculum used social stories which address a range of communication scenarios to train pupils in appropriate social behavior. 9. Student also received DIS from non-public agencies (NPAs). Beginning in July 2008, Student received support from ACES, which provided home-based applied behavioral analysis (ABA) services to address Student’s negative self-talk and non-compliant behavior, such as shouting, putting his head down, turning his body away from an adult or walking away. ABA is a behavior intervention methodology that addresses socially significant behavior challenges through techniques, such as discrete trial training (DTT) to establish or strengthen positive behavior skills in Student’s environment. ABA relies upon data collection to measure progress. ACES provided four hours per week of direct one-on-one behavior intervention services at home, and four hours of supervision. ACES focused on reducing Student’s behavioral reaction to difficult and undesirable school tasks (e.g., difficult worksheets), increased demands, or unexpected changes in his routine, which interfered with his ability to complete school assignments. 10. Mother and District trusted and relied upon ACES’ recommendations. ACES collected data on Student’s progress, prepared progress reports for the IEP team, and participated in IEP team meetings. 11. Student has received NPA occupational therapy (OT) services since he enrolled in District. He currently receives NPA OT services from Irvine Therapy Services Inc. (Irvine). Irvine conducted an initial evaluation of Student for District on November 17, 2008 and November 19, 2008. Irvine relied upon the Sensory Integration Praxis Test (SIPT) to assess Student’s sensory process and motor planning skills. SIPT is an established assessment standardized for administration to children between the ages of four and eight years, 11 months. SIPT is generally used to initially diagnose whether, and the degree to which, children possess sensory processing disorders. Irvine’s SIPT assessment revealed that Student had severe sensory processing deficits, including deficits in his tactile, vestibular and proprioceptive sensory systems. The vestibular system influences arousal and focused attention. With the proprioceptive system it provides a physical understanding of the position of the body in relation to its surrounding environment. In addition to a severe sensory processing disorder, the SIPT assessment also revealed that Student had motor planning (or praxis) and bilateral motor coordination deficits. 12. Irvine began providing clinic-based services to Student two times a week in March 2009. In addition to direct one-on-one clinic based services, Irvine provided the IEP team with progress reports and proposed goals. Irvine was not paid to attend IEP team meetings, or observe Student in his educational setting, and did not. Irvine consulted with Student’s classroom teacher in assessing his progress as part of its progress report. Through the 2009-2010 school year, the IEP team relied upon Irvine to develop goals and objectives and adopted Irvine’s recommended goals and objectives. Irvine focused on improving Student’s visual motor integration, improve his motor planning, bilateral coordination and tactile processing. Through the 2009-2010 school year, the IEP team did not challenge Irvine’s assessment of Student’s unique needs, Irvine’s proposed goals and objectives, the frequency of service, or the delivery of service by Irvine’s OT at Irvine’s clinic. 13. At the end of the 2009-2010 school year, the IEP team met several times to develop Student’s annual IEP for 2010-2011 school year, and the 2010 ESY and extended extended ESY (EESY) (collectively, the “annual 2010-2011 IEP”). At the annual 2010-2011 IEP team meeting, the IEP team reviewed Student’s OT progress with Irvine. Student had fully met three of four of Irvine’s annual goals and met all but a minor part of the remaining goal. Student had met his goal of visual motor integration by smoothly copying three intersecting lines with 80 percent accuracy in three of four trials. He met the majority of his goal of improving motor planning by imitating simple, atypical body postures such as in a game of Simon Says, or in imitation of his teacher and other appropriate times. He was able to accomplish the goal in two of four trials, but not the projected three of four trials. He met his goal of improving bilateral coordination and motor planning to enable him to achieve age appropriate fine motor skills by completing skilled cutting involving curves and corners. He met his goal of improving tactile processing as a foundation of improved fine motor skills as measured by his ability to seal Ziploc bags without spilling contents. 14. The IEP team adopted Irvine’s proposed goals and recommendations for the continued frequency of service. For the 2010-2011 school year, Irvine recommended that two hour-long sessions continue to address sensory processing, including his arousal or attention challenges. Sensory processing challenges often lead to under-arousal, or sluggishness, or over-arousal, excitement; either type impacts attention. Irvine repeated and revised its goal of motor planning by imitating simple, atypical body postures such as in a game of Simon Says, or in imitation of his teacher and other appropriate times. Irvine revised this goal to address Student’s challenges in using more than two limbs by requiring Student to imitate novel body positions involving arms, hands or legs. Irvine prepared a goal to improve motor planning, tactile processing and hand strength so Student could perform fine motor tasks of opening food packaging, including sealed water bottles, and plastic food wrappers. 16. ACES’s report, proposed goals and objectives and recommendations were also reviewed and, like Irvine, were adopted without objection by the IEP team. Student had met his goal of participating in non-preferred activities without exhibiting maladaptive behaviors for 15 consecutive minutes with 80 percent independence four of five days. He met his goal of demonstrating his ability to independently follow eight behavioral strategies (e.g., redirection, social story, token system, visual schedule and positive reinforcement) with his parents (Parents) during his one-on-one tutoring sessions over a three month period. He partially met his goal of calmly communicating his need for a break, help, or stating he was finished, by using the appropriate volume and tone with his tutors and parents from an average baseline of four times per two hour period to ten times per two hour period with 90 percent independence four of five days. 17. Student demonstrated behavioral challenges which prompted ACES to develop three new goals adopted by the IEP team for Student’s 2010-2011 school year. ACES recommended goals addressing his negative behavioral reactions, including Student’s negative self-talk and crying when making mistakes on classroom tests; his negative self-talk and crying arising from his intolerance for rejection of his requests for preferred activities; and his struggles to independently interact and engage with a peer for more than one minute. 18. ACES observed that Student could only independently interact and engage with a peer (e.g., playing the same game, sharing toys or responding to peer’s questions) for up to one minute during each observation. Student’s behaviors included crying and engaging in negative self-talk each time he was observed making mistakes on classroom tests. When told “no,” Student verbally protested, perseverated on the requested item or activity, and engaged in negative self-talk every time he was observed. 19. ACES concentrated its efforts on generalizing Student’s behavior interventions across different settings (e.g., working in different rooms in Student’s home, working on homework in the library) with the goal of readying Student for a transition plan to decrease the level of one-on-one support and increase his independence at home and at school. ACES assisted in placing Student in an after-school social skills group. 20. ACES recommended that the IEP team meet in November 2010 to review Student’s progress and determine his readiness for a transition plan and a cessation of ACES home-based services. 22. The team reviewed the need for summer 2010 ESY and EESY. ESY and EESY are recommended only if a pupil is at risk of a severe regression in skills that would require six to eight weeks at the start of the regular school year to recoup. In addition to an ESY SDC, District offered DIS services during ESY and EESY. District offered one thirty minute individual session and one thirty minute group session of LAS during ESY and EESY. District offered one thirty minute group session of APE during ESY. District offered four hours per week of direct home-based ABA services, four hours a month of supervision, and two hours a month for clinic meetings for ESY and EESY. District offered two, sixty minute sessions of NPA OT during ESY and EESY. Parent disagreed with District’s offer of LAS individual speech during EESY and requested that District provide two, sixty minute sessions of individual speech sessions during EESY based upon the last agreed upon IEP. 23. Mother agreed, in part, to the 2010-2011 IEP, for the regular school year. Student’s educational program during the 2010-2011 regular school year at Orangethorpe proceeded according to his annual 2010-2011 IEP, except with respect to the transition of OT services to District personnel and the transition and cessation of ACES services, which continued as described above. The IEP team developed and implemented twenty goals, including the goals developed by ACES and Irvine. The other goals included: two APE goals in gross motor development, one to provide movement opportunities to improve strength, flexibility and balance, by giving Student a model and picture cards and having him perform balance and posture his positions, and a second goal to improve through verbal cues and physical prompts his ability to jog or run a three-quarter mile distance; two LAS goals to develop Student’s social skills by advancing the concept of understanding what other members of a group are thinking (“just me” versus “thinking of you”) and understanding peer feelings by facial expressions, through sample social situations presented in stories; four academic reading goals to develop Student’s comprehension skills, and mastery of antonyms and synonyms; four academic math goals to develop Student’s word problem skills, as well as his use of geometric formulas and correct methods of measurement and conversions; two academic language arts goals to advance Student’s comprehension of the feelings and motivations of characters when reading or listening to a social story, or when reading or relating to his peers; one academic language arts goal to develop Student’s ability to follow three-step verbal directions when given a task of arranging pictures or paper and pencil tasks; two OT goals to advance Student’s imitation of novel body positions involving two limbs and improve his motor planning, bilateral skills and hand strength by using two hands to manipulate plastic packaging; and three behavioral goals prepared by ACES. 24. As governed by the agreed-upon portions of his annual 2010-2011 IEP, Student spent the majority of his school day in his fourth grade general education class accompanied by a one-on-one aide. He received RSP support on a consult basis by a credentialed special education teacher thirty minutes per week. RSP support was provided to the general education teacher to assist her in Student’s mastery of core content standards. Student was not removed from the classroom to receive direct RSP services. During the school day, he received a variety of DIS services. Student received one individual session of LAS by the SLP for thirty minutes per week. Student participated in one small group speech session for thirty minutes per week. Student participated in the Social Compass social skills program for twice weekly twenty minute sessions. The SLP provided one consultation a week for 15 minutes for the purpose of collaborating with the special education teacher conducting the social skills program. Student was provided with one, thirty minute small group APE session per week. 25. In November 2010, ACES prepared a first benchmark report. Based upon Student’s progress, ACES again recommended that the IEP team consider a transition plan to eliminate ABA services. 26. In January 2011, District’s Autism Supervisor, Peter Ellis, developed a transition plan for Student to be implemented during March 2011 through the end of the 2010-2011 regular school year. Mr. Ellis is a board certified assistant behavior analyst with experience in direct administration of ABA methodologies and supervision and training of staff in ABA and behavior intervention strategies. Mr. Ellis has been the District’s autism supervisor since February 2010, and in this capacity he supervises and trains District staff, oversees the work of NPAs providing ABA services. Mr. Ellis has never provided Student with direct or consultative services as part of Student’s IEP. 27. Mr. Ellis developed the transition plan based upon ACES recommendations to terminate Student’s home-based ABA services. Three stages of transition were planned: two, two-hour home observations of ACES by District staff; collaborative school observation by District and ACES staff and ACES program supervisor for a total of four hours, across a minimum of two sessions; and finally, program transfer, where ACES services are terminated at the end of March 2011, and transferred to District for consultation only services four hours per month, from April 1, 2011, to the end of the regular school year, when all home-based ABA services would end. 28. On January 10, 2011, District hired Ann E. McDonald, Ph.D., as lead occupational therapist. Ms. McDonald is a highly qualified occupational therapist. Ms. McDonald is a nationally board certified, and state-licensed occupational therapist, with over twenty-five years of experience. Her experience spans the private and public sector, and includes extensive direct clinical work, teaching, presentations, and publications. Ms. McDonald supervises Ms. Cooper. 29. In February and March, 2011, District staff assessed Student’s OT needs to determine what services were required for him to access his general education placement. Ms. Kristen Cooper conducted District’s OT evaluation of Student under the supervision of Ms. McDonald. District did not re-administer the SIPT assessment, initially administered by Irvine in 2008. Ms. McDonald was experienced with the administration of the test and certified to administer it, but Ms. Cooper was not. Ms. Cooper considered SIPT a good diagnostic tool for the initial assessment only, to determine sensory processing deficits, but not for progress in the school setting. 30. Ms. Cooper administered a variety of standardized assessments of Student’s motor skills that compared the subject’s performance against a bell curve derived from the performance of same-aged peers. Ms. Cooper administered the Beery-Buktenica Developmental Test of Visual-Motor Integration (VMI), Motor Coordination. The test measures integration between visual and motor abilities. The VMI Motor Coordination test assesses finely controlled finger movements guiding a pencil between two lines. Student scored in the “very low” range, obtaining a score of 13, the lowest score possible, and three standard deviations from the mean. 31. Ms. Cooper administered two subtests of the Bruininks-Oseretsky Test of Motor Proficiency (BOT-2). The BOT-2 assesses motor planning functions. Ms. Cooper administered the subtests for upper limb and bilateral motor coordination. As part of the test, Student was provided verbal and physical demonstrations, and required to follow novel, two-step tasks. Student scored in the “well below average” range on the upper limb coordination subtest, or two standard deviations below the man. Student also scored in the “well-below average” range, or 2.6 standard deviations below the mean in the bilateral coordination subtest. 32. Ms. Cooper administered the Motor-Free Visual Perception Test-Third Edition (MVPT-3). The MVPT-3 assesses visual perceptual ability without motor involvement. Student scored in the “average” range on this test, meaning that Student’s challenges are related to motor issues, not visual processing issues. 33. Ms. Cooper administered the sensory processing measure (SPM). SPM measures sensory processing, motor planning and social participation in children in kindergarten through fifth grade. Information is culled from a teacher report. Student’s teacher has known him since third grade. She completed the report before she left on maternity leave in March 2011. According to his teacher, Student demonstrated typical sensory processing in the classroom, specifically, typical functioning in the areas of touch, body awareness, and balance and motion. Student did not show signs of distress (crying out, wincing, withdrawing, or yelling) at typical classroom noises, such as ringing bells, loud talking. Student’s teacher did report some problems in the area of social participation and vision, but when reviewed in the context of his other test scores, and Ms. Cooper’s observations, these problems were not related to sensory processing issues. Student’s planning challenges were consistent with his motor planning deficits. 35. Ms. Cooper relied heavily on input from other District members of the IEP team, and her own observations of Student during the assessment, in class, and at Irvine. She observed Student working on a writing task, with assistance from his one-on-one aide for over 20 minutes, without fidgeting, and producing, in an acceptable time frame, a one page product. She observed that Student could not copy from the board onto his paper without prompting from his aide to start a new line so that he would not write off the paper onto his desk. She observed him transitioning from the classroom, to lunch, and to recess without difficulty. In his clinic setting at Irvine, she observed him successfully catching and throwing bean-bags from a distance of five feet with both his right and left hand, climbing in and out of a tower of seven rubber tires, climbing into a hammock swing without dizziness, standing on a balance board, sitting on a glider swing and throwing a ball at a small target two feet away, without difficulty, crossing midline to reach for the ball, and coordinating his eyes with his upper body to hit a target, and swinging on a trapeze using appropriate bilateral coordination and upper body strength. She observed him successfully completing a motor planning activity to search for hidden objects with minimal prompting from the occupational therapist. 36. Ms. Cooper reported two areas that required continued OT for Student to access his education: Student’s difficulty with spatial organization, particularly his desk, and his fine motor strength as it impacts his increased hand fatigue after handwriting. Ms. Cooper recommended that the IEP team consider having Student keyboard for longer assignments. 37. On April 4, 2011, the IEP team met. Student’s parents (Parents), District’s occupational therapists, Student’s general education and APE teachers, Mr. Ellis, and ACES were among the participant. 38. ACES’s proposal to terminate home-based ABA services by the end of the 2010-2011 school year, and Mr. Ellis’s transition plan, were discussed. Following ACES recommendation and his transition plan, Mr. Ellis had completed his observations at home. As proposed by ACES and incorporated into Mr. Ellis’s transition plan, the final portion of the transition plan, required monthly consultation services only. District proposed that Mr. Ellis, not ACES, provide the consultation services through the end of the year. Parents disagreed with ACES transition plan, and the transfer of services to District. 39. Parents disagreed with Ms. Cooper’s report. They challenged District’s selection of test material, particularly its failure to re-administer the SIPT to gauge Student’s progress. Parents reported their observations of Student’s ongoing, and in their view, significant problems with sensory integration and motor planning. They reported that Student’s sensory integration deficits increased Student’s anxiety. Student vomited at the sound of fire drills. They reported that Student cried several times a week when he became anxious. Parents observed that Student was much calmer the nights after he received OT therapy at Irvine where he was positioned on specialized swinging and bouncing equipment that addressed his proprioceptive and vestibular deficits, and calmed him. Parents were concerned with Student’s under-arousal, or sluggishness, which impacted his ability to sustain attention. Student’s processing deficits were still apparent in Student’s handwriting. Student was required to handwrite many assignments, particularly math problems, and he could not fill in math worksheets. Student did keyboard, but keyboarding could not replace handwriting skills for every school assignment. Parents insisted that Student still required continued services from Irvine. 40. District responded to Parents’ concerns and objections. Overall, District team members did not dispute Student’s deficits in sensory integration, attention and arousal, and motor planning, but maintained that his deficits were not severe enough to require intensive services, including clinic-based services, to access his education. 41. Ms. McDonald responded to Parents’ objections to District’s OT assessment. Ms. McDonald stated that the SIPT is never administered twice. She explained that the SPM is based upon a standardized questionnaire filled out by Student’s general education teacher as to Student’s ability to function in an educational environment and access his education. The assessing general education teacher was very familiar with Student as his teacher for third grade and a substantial part of fourth grade. The assessing general education teacher left on maternity leave after completing the SPM report and did not attend the IEP team meeting. Based upon the SPM, Student’s sensory integration is functional for a general education student. 42. Ms. McDonald and Ms. Cooper did not dispute Student’s sensory integration deficits or muscle fatigue as manifested in Student’s handwriting. Ms. McDonald and Ms. Cooper maintained that Student’s handwriting fatigue could be addressed by allowing him to keyboard. They agreed with Parents that keyboarding could not always substitute for handwriting, and would have the occupational therapist “look” at Student’s printing. 43. Ms. McDonald and Ms. Cooper agreed to prepare a sensory diet for Student to address Parents’ reports of Student’s anxiety and arousal and attention deficits. The sensory diet is comprised of physical activities to address Student’s anxiety in the classroom, regulate his behavior and stay focused. Ms. Cooper also agreed to prepare a goal for implementing the sensory diet. Unlike Parents, they did not observe arousal or attention deficits that impacted his classroom participation. Ms. Cooper observed Student attending to his writing assignment for 20 minutes before becoming fatigued. 44. Ms. McDonald and Ms. Cooper did not dispute Student’s motor planning challenges, but disagreed with Parents on the continued need for clinic-based OT services. Ms. McDonald considered clinic-based OT a more restrictive setting than school-based OT, reserved for the most severe sensory and motor planning needs. District’s APE responded to Parents’ concerns regarding Student’s motor planning, explaining that his gross motor functions are also being addressed in the existing goal for body movement imitations. 45. District proposed two OT goals at the April 4, 2011 IEP team meeting to address motor planning deficits. District recommended a motor planning/spatial organization goal for Student to organize his desk. Student required a verbal prompt and aide assistance to organize his desk. District’s goal required Student to use a visual checklist. District recommended a spatial organization goal to address Student’s difficulty copying math problems from the board when there are no visual boundaries on his paper, such as a line or box. The goal required Student to fold an unlined piece of paper three times to create eight spaces on which to write math problems. 46. District offered an amendment to the annual 2010-2011 IEP modifying District’s proposal to terminate Irvine’s clinic-based OT services. Instead District offered to eliminate direct services entirely and instead offered OT staff consultation, twice monthly, for thirty minutes each; to the classroom general education teacher and other school staff. 47. District recommended an Assistive Technology (AT) assessment to explore methods, aside from handwriting, for completing longer written assignments. On April 21, 2011, District developed an assessment plan for an AT assessment. Mother executed the assessment plan on April 28, 2011. An AT assessment was not completed or considered as part of Student’s 2011-2012 IEP. 48. The IEP offer for 2011 ESY and the 2011-2012 school year, the 2011 ESY, and the 2011 extended extended school year (EESY) was developed at IEP team meetings held on April 28, 2011, May 17, 2011, and June 7, 2011. The IEP team meetings were properly noticed. 49. At the April 28, 2011, IEP team meeting, all necessary members were present. The following team members participated: Mother, Mr. Ellis, Ms. Cooper, Sally Choi (Student’s substitute general education teacher), Liz Rivas (APE), Aileen Anderson (SLP), Karen Towers (school psychologist), Janice Nelson (social skills teacher) Jodi Lagman, (RSP teacher), and Sharon Dyer (special education program coordinator). 50. At the April 28, 2011, IEP team meeting, the team reviewed Student’s present levels of academic performance. Ms. Lagman and Ms. Choi provided input to the IEP team about Student’s progress and goals. At the time of the IEP team meeting Student was working at grade level, but experiencing difficulties in specific academic areas involving reading comprehension and inference. Student performed at grade level on District-wide assessments. In math, Student obtained an advanced score at the beginning of the 2010-2011 school year, and proficient scores on benchmark tests administered during the school year. In English language arts, Student obtained a proficient score at the beginning of the 20102011 school year, and basic scores on benchmark tests administered during the school year. Student could identify antonyms and synonyms at grade level. He had difficulty converting measurement for time, distance and weight. 51. The team reviewed Student’s progress on academic goals. Student only met one academic goal. Student achieved one goal of selecting the correct antonyms or synonyms. Student did not meet his goal for fourth grade reading comprehension. Student understood the main idea of a passage but had difficulty identifying the details that support the main idea. He could compare and contrast non-fiction passages with 60 percent accuracy. Student continued to have difficulty converting math measurements for time, distance and weight, such as 60 minutes to one hour, and using the metric system, and did not meet his math goal in this area. Word problems continued to present challenges. He could complete two step word problems with 80 percent accuracy, but he did not meet his math goal to compute word problems requiring two or more processes. 52. Parents and District did not dispute Student’s present levels of academic performance, or his progress on his goals. Mother participated in a discussion of Student’s academic goals, requesting the team consider ABA techniques for Student’s test taking. District provided Mother with five proposed academic goals at the meeting and committed to providing her with an additional goal before the next meeting. 53. At the April 28, 2011, IEP team meeting, the team reviewed Student’s present levels of performance and discussed goals and objectives for LAS. Ms. Anderson provided input to the team. Student’s articulation, vocal quality and fluency were appropriate for his general education placement. Student remained challenged in the use of pragmatic language. He required multiple cues to participate during group conversations involving upwards of three participants. He sometimes needed reminders to provide background information before he introduced a topic. He engaged in role-playing during his social skills lessons, with prompts. He had improved his ability to change his facial expression to match an emotion during structured tasks. He was practicing how to identify “why” a person may feel a certain way. He was making an average of 54 percent “smart guesses” (based upon known information, or inferences, predictions) during tasks involving short narratives or pictures. 54. Student met his pragmatics goal of defining and using “just me” (acting on what he wants to do) versus “thinking of you” (cooperating by considering what others need) in both individual and group settings. He met his goal of demonstrating how a person may feel from listening or reading social stories. He made great progress on his goal of verbalizing a character’s feelings or motives, but did not meet the goal completely, because of inconsistent performance. 55. Mother had input on the development of Student’s LAS goals. Ms. Anderson revised the goal of verbalizing a character’s feelings or motives, based upon Mother’s suggestion to use stories from the classroom lessons to reinforce the skill. The team discussed the goal requiring Student to imitate the correct facial expression. Mother told the team that she wanted to move away from incorporating facial expressions in Student’s LAS goal. In response to Mother, Ms. Dyer proposed an additional goal that would not be based upon modeling feelings, but would work on perspective taking of interests of others. Several members of the team, including Ms. Anderson, Mother, Mr. Ellis, and Ms. Dyer discussed ways to advance Student’s understanding of inferences if a story was read to him. They discussed his challenges in understanding emotions, or the perspective of others, referred to as “theory of the mind.” Mother was provided with proposed goals and Mother stated that she would speak to Ms. Anderson and provide her input before the next meeting. 56. The team discussed Student’s progress in his social skills group and the goals related to his participation in that group. Ms. Nelson provided input to the team about Student’s progress. Ms. Nelson reported that Student was able to discuss his interests but did not listen when other pupils discussed their interests. 57. At the April 28, 2011, IEP team meeting, the team reviewed Student’s present levels of performance and discussed Student’s goals and objectives for APE. Ms. Rivas reported on Student’s progress in APE, and reviewed Student’s activities in general PE. Student could perform up to ten balance postures. Student met his goal of holding a posture for 20 seconds with prompts. Student was able to run two laps, and could run continuously for up to two minutes. Mother reported Student’s physical activity outside school. Student participates in karate, and asks to ride his scooter downtown. 58. The team discussed two new APE goals, and Mother accepted the goals. Ms. Rivas proposed two APE goals addressing Student’s gross motor development. One goal advanced Student’s ball skills and use of a two-handed sidearm swing with a bat using the correct grip, stance, and body position. Another goal was directed at improving Student’s health and fitness (especially cardiovascular endurance) by jogging or walking at a faster than normal pace for twenty minutes. 59. At the conclusion of the April 28, 2011, IEP team meeting a second IEP team meeting was scheduled for May 17, 2011. 60. On May 16, 2011, at the direction of Orangethorpe’ s principal, Dr. Amanda Segovia-Hale, District notified Mother that it would be changing Student’s placement from Orangethorpe to Student’s home school, Golden Hill. As a full inclusion general education pupil, District represented that it was required to place Student in his home school as it was his the least restrictive environment. Based upon its notification of change of placement, District revised the IEP team notice to include Golden Hill’s staff. In response to District’s notification, Mother informed District that her counsel would attend the IEP team meeting. 61. To attend Orangethorpe as a full inclusion general education pupil, District represented that Student was required to apply for an intra-district transfer, like other general education pupils. Applications for District intra-district transfers had to be filed by a certain date. Once filed, Golden Hill’s principal had to approve the transfer from the home school to Orangethorpe. At the time of District’s notice to Mother, the deadline for applying for intra-district transfers had passed. 62. Pupils attend Orangethorpe and Golden Hill, through the sixth grade. Pupils attending Orangethorpe and Golden Hill advance to the same middle school for seventh grade. 63. Irvine prepared an OT progress report for the May 17, 2011, IEP team meeting. Jennifer Pon of Irvine provided direct OT services and prepared the report. Unlike Irvine’s 2010 progress report, Irvine’s 2011 progress report did not reference the observations of Student’s classroom teacher, or contain any information about Student’s classroom performance. 64. Student made substantial progress on his OT goals. He made significant progress on his goal of improving motor planning to enable him to imitate three novel body positions involving four limbs such as in a game of Simon Says or in imitation of his teacher during music. Student could accurately imitate three novel body positions involving two and three limbs, but not four limbs; although he demonstrated good approximation of postures. Student met his goal of improving motor planning, bilateral coordination, tactile processing, and hand strength to enable him to achieve independence in daily fine motor tasks such as opening school packaging. Student could independently use two hands to manipulate plastic packaging such as water bottles, food wrappers on plastic silverware, and ketchup wrappers. 65. Student made significant progress on his handwriting goal, but did not meet it. His handwriting goal required improving tactile processing and hand strength to enable him to achieve age appropriate fine motor skills measured by his ability to consistently write with grade appropriate size in three of four writing samples (85 percent for capitals and lowercase), as measured by the Print Tool. Student did not meet his two benchmark goals of improved size consistency 65 percent and 75 percent, respectively. 66. Student’s writing size and legibility improved significantly. Twenty-nine percent of Student’s letters were fourth grade size level. Ninety-seven and-a-half percent of Student’s letters were at grades two through three or above. Student’s baseline level for letter size was 42 percent. Although Student had yet to achieve grade level proficiency, Student achieved a 55 percent improvement in writing size and legibility when measured against grade two through four combined. 67. Student improved in all sensory and motor planning goal areas, i.e., Student’s motor planning, tactile processing and hand strength. Student no longer avoided new activities that were difficult for him. He also demonstrated “significant improvement” in coming up with ideas for activities, although he “occasionally” required prompting to pick something new or different. Student was able to simultaneously sequence his movements while engaging in visual motor activities, but “occasionally” lacked fluidity in his movements, and required extra time to imitate. Student had improved in tasks requiring sequencing, such as following multi-step directions, carrying multiple objects at the same time, building obstacle courses, and planning out ideas for paragraph writing. Student had no difficulty opening plastic food wrappers or water bottles during lunch independently. His hand coordination, strength, and fluidity of his hand movements had improved. He could coordinate his fingers to roll putty or paper in a ball and rotate objects with his fingers. His writing was more age appropriate. 68. Irvine recommended NPA OT continue through summer 2011 and the 2011-2012 school year at the same frequency to address Student’s sensory processing and arousal issues. 69. The IEP team reconvened as planned on May 17, 2011. All necessary members were present at the meeting, or excused by Parent. Present at the meeting were: Mother, Ms. Champlain, Counsel for Mother and Student; Ms. Dyer; Ms. Lagman; Nancy Kozma (RSP-Golden Hill); Ms. Anderson, Ms. Cooper, Courtney Vidal (ACES); Ms. Choi. Later in the IEP, additional individuals joined the team: Ms.Nelson; Dr. Segovia-Hale; Dr. Dave Palmer (school psychologist – Golden Hill). 70. The IEP team reviewed District proposed academic goals. The team developed the goals based upon Student’s progress on his previous goals. Mother provided input for further revisions, including revising the reading comprehension goal, adjusting text to grade level and having Student read to himself as opposed to reading aloud, and eliminating the math conversion goal. The team accepted Mother’s proposed revisions. 71. The IEP team reviewed District’s proposed LAS goals. The team developed the goals based upon Student’s progress on his previous goals. As discussed in the April 28, 2011 team meeting, Mother reviewed the proposed LAS goals with Ms. Anderson prior to this team meeting. The team accepted Mother’s recommendation to eliminate one goal she considered too easy. District agreed to rework one goal consistent with Student’s skill level at identifying details about a character’s emotions. Mother recommended a goal to identify nonverbal cues which was accepted by the team. Mother requested an additional goal to connect a character’s actions to feelings. 72. District provided Mother with Ms. Cooper’s proposed sensory diet to address Student’s anxiety in the classroom, regulate his behavior and stay focused. The sensory diet was comprised of a list of designated activities that Student could select with prompting from his one-on-one aide to decrease his anxiety when presented with non-preferred tasks, or when he made mistakes. 73. Ms. Cooper relied upon accepted protocols for developing and implementing a sensory diet. Ms. Cooper presented the sensory diet as a flexible plan that included a variety of options to be tested and monitored. Student’s sensory diet included three suggested tasks for Student prior to academic assignments which required sustained attention, such as tests, and included “movement breaks” such as a short errand, getting a glass of water, a classroom job, or a crunchy snack. Ms. Cooper’s sensory diet included 11 suggested tasks for Student when he appeared under-aroused (e.g., slouching in chair, difficulty sustaining attention), such as chair or wall push-ups, five, five-second hand squeezes, hooking together and then pulling fingers, fidgeting with a paperclip, pencil, velcro, or other item, pushing down on top of head, or shoulder shrugs. Ms. Cooper’s sensory diet proposal included four suggested tasks for Student when he appeared over-aroused or anxious, including, deep breaths and visualizations, hand squeezes, hooking together and pulling on fingers; and pushing on the top of his head. 74. Mother requested a self-regulation goal to advance Student’s independent use of the sensory diet. With Mother’s input, Ms. Cooper developed a self-regulation goal to address Student’s anxiety which included three examples of anxiety-producing events. The goal would be used with the sensory diet. To access the sensory diet, Student was required to select an activity from the list with one verbal prompt and demonstration. 75. The IEP team discussed District’s proposed OT goals. Ms. Cooper developed the goals for the District. The goals developed were based upon Student’s present levels of performance and progress on previous goals, as reflected in Irvine’s progress reports and Ms. Cooper’s assessment, which also included school-based observations. Ms. Cooper developed a goal to address Student’s organization of his math work. The goal required Student to fold paper in eight spaces to keep his writing within the space using appropriate text size. Ms. Cooper developed a goal for Student to organize his desk using a checklist to assist in organization. 76. The IEP team discussed Student’s present level of social skills performance. District staff reported that Student could appropriately interact with peers for ten minutes. District’s data was not consistent with Ms. Vidal’s observations of Student’s social interactions with peers. Ms. Vidal reported that Student could only appropriately interact with peers for about one minute during a ten minute period of time; after one minute he will look away. At the time of the IEP meeting Student did not have assistance to facilitate peer interactions during unstructured recess. The IEP team agreed to provide Student with aide support for the remainder of the school year to facilitate social skills during recess. 77. The IEP team discussed Student’s progress on ACES’ behavior and social goals. Student had made progress on the behavior-social interaction goal ACES developed to interact and engage with peers during structured (board and adult lead games) and unstructured (playground free play) time for 10 consecutive minutes measured by teacher observation. Ms. Vidal assisted in enrolling Student in an after school social skills group at the beginning of 2011. By March 2011 Student was able to interact with peers in structured and unstructured activities on three of five days, but had difficulty participating in structured activities he did not like. Student would not engage in unstructured play without a prompt. Student made significant progress on his behavior-test taking goal of tolerating mistakes on tests without crying or negative self-talk, 80 percent of opportunities presented. 78. The IEP team discussed District’s offer of placement at Golden Hill. 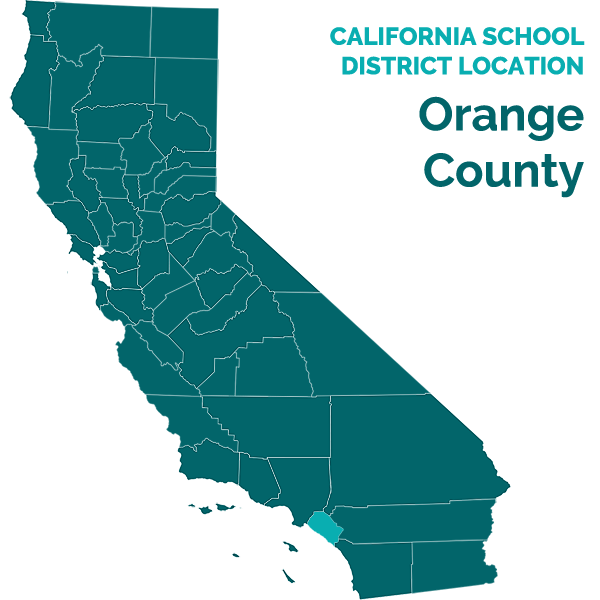 District declined to allow Student to remain at Orangethorpe as part of an IEP team decision. Ms. Segovia-Hill insisted that Student was welcome at Orangethorpe, but as a general education pupil, District was required to place Student in his home school, and Parent was required to utilize the intra-district transfer procedures for Student to continue at Orangethorpe. Mother’s counsel questioned the need for the intra-district transfer if placement is an IEP team decision. Ms. Dryer and Ms. Lagman stated that Student would benefit from neighborhood friends. Ms. Dryer insisted that Golden Hill was the least restrictive environment because Student was a full inclusion pupil and Golden Hill was his home school. 79. The IEP team members agreed that the transition to Golden Hill would challenge Student. ACES preferred that Student stay at Orangethorpe. Student was challenged by transitions. He had made friends at Orangethorpe and was known and accepted by staff and peers. Other District team members agreed. 80. ACES’ recommendation to terminate home-based ABA services was discussed. ACES’ recommendation was based upon Student continuing at Orangethorpe. ACES’ had not prepared a transition plan for Student to attend a different school. 81. Student’s RSP services were discussed. Parent requested a continuation of RSP push-in services. RSP staffs for Orangethorpe and Golden Hill were open to delivering push-in RSP services, but were limited by the RSP teacher’s schedule. Most of Student’s academic goals were for English language arts. English language arts classroom instruction at Orangethorpe was in the morning, and Ms. Lagman of Orangethorpe was not available in the morning. Ms. Lagman reported that she could provide one session a week of push-in services. The RSP teacher at Golden Hill did not have the same scheduling conflict as Ms. Lagman and could provide push-in services. 82. The team scheduled a meeting on June 7, 2011, to finalize District’s offer. 83. On June 7, 2011, the IEP team met. IEP team members included: Mother and counsel, Ms. Segovia-Hale, Ms. Dyer, Ms. McDonald, Ms. Cooper, Ms. Rivas, Mr. Ellis, Ms. Towers, Ms. Anderson, Ms. Nelson, Ms. Vidal, and Ms. Choi. 84. Data to confirm Student’s present levels of performance for social interactions were reviewed with the proposed goal. Ms. Vidal’s data confirmed that Student could sustain an interaction with peers without a prompt for 30 seconds to one minute. Ms. Vidal’s data was obtained through observations of Student with familiar peers at a park, during a game of hide-and-seek, and during a Jeopardy board game. Mother recommended that the goal be revised to address both structured and unstructured time. The goal was revised as Mother requested and included the present levels of performance as described by District and ACES. 85. The team discussed and revised Student’s OT writing goal. Mother recommended that the writing goal be revised to require Student to write within the given spaces after the paper was folded. The District revised the goal as Mother requested and also agreed to place an icon or sample writing size in the corner so that Student could remember the size. 86. The team discussed whether Irvine’s services were still appropriate given that two goals were not met. Irvine’s gross motor goal of using four novel body positions was not met. Ms. Rivas reported that APE focuses on gross motor planning in the school. She reminded the team that Student met the gross motor planning APE goal of novel yoga body positions. Irvine’s fine motor planning, tactile processing and hand strength goal for print size and legibility were not met. Ms. Choi reported that Student’s printing was legible and better than some other pupils. Ms. McDonald stated that Student’s AT evaluation would address his handwriting challenges. 87. Mother disagreed with District team members about Irvine’s OT services. District team members maintained that clinic services were reserved for severe sensory needs that impact pupils’ access to education. Mother reported that Student’s continuing sensory needs were apparent; Student holds himself together throughout the school day only to cry when he gets off the bus at home. Student’s motor planning, tactile processing and hand strength continued to be deficient for a full inclusion pupil and required clinic-based OT. Mother was particularly concerned that Student was two grade-levels behind in handwriting and believed that there were limits to the amount of assistance from AT, particularly, AlphaSmart, because Student still needed to handwrite things like math calculations. 88. Mother tried to initiate a discussion about whether Golden Hill was an appropriate placement, but District team members declined to further discuss the merits of Golden Hill as a placement. 89. ACES services to transition to Golden Hill were discussed. ACES services addressed Student’s behavioral challenges during homework, when they were most apparent. Ms. Vidal and Mr. Ellis discussed Student’s previous transition plan but did not recommend that it be implemented as part of the transition to Golden Hill. Instead, they recommended that the full level of four hours a week and four hours of supervision of home-based behavior services continue at Golden Hill. After one month at Golden Hill, they recommended that the IEP team review data collected about Student’s behavior, and based on the data; follow the previous transition plan, by first transitioning Student to District staff. ACES did not recommend a date certain to terminate Student’s behavior services at Golden Hill. 90. The IEP team discussed ESY and EESY for summer 2011, June 27, 2011 through July 22, 2011. District offered SLP during ESY only, one individual thirty minute session per week to prevent severe regression. In contrast to District’s 2010 ESY and EESY District offer, as set forth in paragraph 22, above, District did not offer a specialized academic instruction program, or any other DIS during ESY or EESY. 91. District offered fifteen goals and objectives introduced and revised in the IEP team meetings: four communication and pragmatic LAS goals in the structured setting of the speech room to advance Student’s ability to identify non-verbal cues with communication partner and stop talking about his preferred topic, to identify a person’s feelings from after being presented with a picture or short narrative, to answer inferential questions about an instructional text, and to respond to inferential questions regarding a picture and text about a character’s behavior; two gross motor development goals for APE to advance object control skills for ball playing, and improving cardiovascular health and fitness; one motor planning/spatial organization goal for Student to organize his desk; one spatial organization goal to fold a paper to create appropriate space for writing math assignments; one self-regulation goal using one gestural prompt and a sensory diet to moderate Student’s anxiety and regulate behavior; one behavior–coping strategy goal to address Student’s anxiety during testing, transitions, or non-preferred activity without a prompt; one behavior–social interaction goal to advance Student’s ability to interact with peers during recess without an adult prompt for 11 minutes on four out of five opportunities within a one week time period as measured by teacher observation; two reading goals to provide three supporting details for the main idea and to answer three grade level non-fiction passages and five multiple choice questions comparing and contrasting information on the passages; and two mathematics goals to advance Student’s skills when responding to multi-step problems and convert measurements. The goals offered included a statement of the Student’s present levels of performance, benchmark objectives, and identified the person(s) responsible for implementation of the goals, and how the goals would be measured. 92. The District members of the IEP team made the following offer of placement and services: general education placement at Golden Hill pull-out RSP services, three sessions per week, thirty minutes per session, plus one fifteen minute consultation per week by the RSP teacher with Student’s general education teacher; one group LAS session per week, thirty minutes a session, one individual LAS session per week, thirty minutes per session, and one LAS consult twice a week, fifteen minutes per consult, with the general education teacher and social skills instructor; APE once a week for thirty minutes; OT consult twice a week for twenty minutes the first four weeks of school to monitor Student’s sensory diet and to train staff; thereafter, two thirty minute consults per month with the general education teacher and staff; a full day one-on-one special circumstance aide to assist Student in remaining on task, demonstrating appropriate behaviors, and clarifying lessons presented in the general education classroom; ABA services of four hours weekly direct home instruction and four hours per month of supervision from August 29, 2011, through October 1, 2011; a social skills program utilizing the “Social Compass” curriculum two times per week, twenty minutes each session, provided in the SDC with the special education teacher. Student was not offered specialized transportation. Golden Hill was Student’s home and close to Student’s residence, and Student did not otherwise require special transportation. 94. Mother agreed to certain portions of the District’s offer. Mother agreed to District’s offer of a general education placement with a one-on-one aide, LAS, and a social skills program. Mother agreed to all offered goals except one. Mother disagreed with the behavior-social interaction goal requiring Student to interact with peers for 11 minutes. Mother requested that the goal be increased to fifteen minutes and that it is split into two separate goals to address both structured and unstructured time. Mother agreed to a general education placement, one-on-one aide, LAS services and the social skills program. 95. Mother disagreed with the following: placement at Golden Hill instead of Orangethorpe; the omission of additional goals to address Student’s social skills, anxiety, motor planning, fine motor deficits, and sensory needs; the behavior-social interaction goal to engage with a peer during unstructured play for 11 consecutive minutes, instead of 15 consecutive minutes; the termination of Irvine’s OT clinic services; the termination of direct OT services; the delivery of RSP services as pull-out instead of push-in; the termination of ACES’s home-based ABA services; and the reduction of ESY services and elimination of extended ESY services. 96. At hearing, witnesses elaborated on Student’s present level of performance at the time of the IEP offer, and District’s offer. In the area of ABA support and transition services, Ms. Vidal’s testimony was given the greatest weight as the IEP team stated that it was following ACES’s recommendation, and all IEP members, including Mother, historically relied upon ACES and approved of the quality of its services. In the area of home-based ABA services, Ms. Vidal of ACES confirmed Student’s challenges with transitions. Ms. Vidal anticipated that Student would have difficulty transitioning to Golden Hill and that his negative behaviors would escalate. She did not support Student’s transfer to Golden Hill, and confirmed that she changed her recommendation for decreasing Student’s services if he did attend Golden Hill. She did not recommend that services terminate, but that they continue and be adjusted after reviewing the data following a change of placement. She recommended that a transition plan be developed if the data supported a reduction in services. Likewise, Mr. Ellis did not endorse the termination of Student’s home-based ABA services if Student transferred to Golden Hill. He did not provide a transition plan for the team to review at the IEP team meeting. He agreed with Ms. Vidal that a transition plan would first be developed once the team met, reviewed data, and determined that services should be reduced. 97. In the area of RSP services, Mother, a fifth grade general education teacher, testified that she requested that RSP services remain as push-in to keep Student in class to minimize the time he was removed from the general education setting and away from academic instruction, which would be more intensive in fifth grade. She also wanted to reduce the number of transitions he needed to make in one day. 98. In the area of OT services, Student’s expert Prya Mohan challenged District’s offer of OT consultation services only. Ms. Mohan was Irvine’s Director. She supervised Student’s OT at Irvine’s clinic and has observed Student during clinic hours. Ms. Mohan has been an OT for approximately 30 years. She has extensive experience in the administration and interpretation of OT assessments, including the SIPT. She received her master of arts degree in OT from the University of Southern California (USC), and while there, trained with the developer of the SIPT assessment. Ms. Mohan capably demonstrated her in depth knowledge of OT services, and was a passionate and sincere advocate on behalf of Student for continued direct and clinic-based OT services. Nevertheless, when her testimony was reviewed against District’s school-based obligations at the time of the IEP, her insistence that Student still required clinic-based OT services to access his education was unconvincing, and the testimony of Ms. McDonald, an equally qualified OT, and Ms. Cooper, working under the supervision of Ms. McDonald, were given more weight. Irvine’s 2011 progress report did not incorporate, as it had in the past, teacher’s observations, and Ms. Mohan never observed Student at school. Ms. Mohan explained that Student’s teacher did not respond to her repeated e-mails, and that Irvine was not paid to observe Student at school or attend the IEP. Ms. Mohan’s attempt to explain away these foundational gaps behind her opinion does not make these omissions less damaging. Ultimately, Ms. Mohan’s testimony was not convincing that Student needed OT clinic services. 99. Ms. Mohan maintained that District underestimated Student’s sensory needs and his potential for continued progress by failing to re-administer SIPT. SIPT is the only standardized measure that provides an accurate assessment of sensory processing deficits. Ms. Mohan convincingly established that the SIPT, although not standardized for Student’s age level, could be administered by an experienced occupational therapist, to gauge Student’s sensory processing deficits, Student’s progress, and his ability to progress. District’s assessments, particularly the SPM, did not record Student’s underlying sensory deficit Nevertheless, Ms. Mohan’s critique did not undermine District’s assessments as measures of Student’s access to his general education environment. 100. At hearing Ms. McDonald, conceded that the SIPT, may be informative, if re-administered by an experienced occupational therapist, although not standardized to gauge progress (except in two subtests), and not standardized for his age range. However, Ms. McDonald, and Ms. Cooper, convincingly explained, as they had at the IEP, that their obligation as school-based practitioners, was to assess whether Student’s deficits prevented him from accessing his education, and the functional evaluations administered, together with observations, were designed to make that that determination. Further, Ms. McDonald explained that on the continuum of OT services, off-campus clinic-based services were reserved for the most severe sensory processing and motor-related needs, since off-campus services were not integrated within the Student’s school environment, but a more restrictive environment. 101. Ms. Mohan challenged District’s interpretation of the SPM. From the SPM District concluded that Student had atypical sensory processing deficits in certain environments. Sensory processing deficits do not disappear and reappear, and District was wrong in concluding that Student’s processing was typical. Based upon Student’s profile, as reported by IEP team members and service providers, including ACES, and memorialized in Student’s goals and objectives over several IEPs, Student’s sensory processing is not typical However, Ms. Mohan’s testimony did not undermine SPM as an accurate as a measure of Student’s ability to function and access his education. 102. Ms. Mohan challenged District’s interpretation of the results of the Print Tool and its failure to offer direct services to address Student’s writing. Ms. Mohan confirmed that Student’s handwriting was below grade level. Student cannot write at grade level and small enough to fill out math worksheets. Ms. Mohan agreed with Ms. Cooper’s conclusions that Student could write within a ½ inch line and wide ruled paper, as consistent with his performance in Irvine’s clinic. Ms. Mohan also agreed that Student could correctly orient his letters and write them correctly, appropriately sequenced and on the line. Irvine provided Student with direct services to address his handwriting deficits, for fifteen minutes, twice weekly. 103. Ms. Mohan challenged District’s OT goals. Ms. Mohan challenged District’s motor planning/spatial organization of Student’s desk, particularly its reliance on a check list. Good motor planning requires Student to learn to think about and anticipate isolated tasks or skills needed to engage in an activity. In Irvine’s clinic Student finds objects. Student’s desk organization goal is a checklist and does not require pupil to engage in motor planning. Ms. Mohan challenged the absence of sensory processing goals. In the clinic, Student was provided with vestibular and proprioceptive needs, and a resulting reduction of anxiety. Irvine places Student in suspended and bouncing equipment which calms him. Ms. Mohan criticized District for failing to provide motor planning goals for unstructured time, which would require him to initiate and plan an activity, such as finding a friend and joining an activity. 104. Ms. Mohan criticized District’s sensory diet. Contrary to Mother’s representation to the IEP team, Mohan insisted that Student did not suffer from under-arousal, but over-arousal. Ms. Mohan reported that Student could not be relied upon to make choices, and that the choices presented, like eating crunchy foods, and doing errands, would encourage further distractions from school work. Ms. Mohan’s critique of the sensory diet did not square with Mother’s representations to the IEP team, her stated desire to make her son more independent, and the flexible, as opposed to rigid, structure of the sensory diet. As presented, the sensory diet involved a range of choices and options that would be tried and tested. Ms. Mohan acknowledged that Student required a school-based sensory diet that did not set him apart from other pupils. 105. In the area of OT services, Mother testified in support of continued clinic OT services to address Student’s anxiety and sensory needs. Student often cried as he departed the bus after school. Mother testified that Student’s anxiety and sensory needs were met in the clinic with the use of suspended equipment. On days that Student attended the clinic, he was calmer and returned home more focused, completing homework tasks with more ease. She insisted that Irvine’s equipment was necessary to calm him during the week. While likely worthwhile to Student, no connection was made between Student’s use of the equipment in a clinic away from school and his abilities and progress at school. Irvine never recommended a sensory diet or goals related to his use of Irvine’s equipment to calm him. Student was provided with ABA services to focus his attention on homework and other non-preferred tasks. Mother’s observations notwithstanding, District staff’s testimony about Student’s anxiety and sensory needs at school were given more weight, as the testimony was supported by Student’s progress and present levels of performance, school-based observations, and Mother’s endorsement of District’s use of a sensory diet and related goal. 106. In the area of social skills services, LouAnne Erin Boyd, the special education local plan area (SELPA) autism coordinator, testified about “Social Compass,” the social skills curriculum and manual she developed based upon ABA strategies. Ms. Boyd is a board certified behavior analyst (BCBA). She has a bachelor of arts and master of arts in psychology. She also obtained a graduate certificate in behavioral services in Autism from the University of Massachusetts. Ms. Boyd has experience providing direct behavior services, administering educational assessments, and designing curriculum. Ms. Boyd has been the Autism Coordinator for almost 12 years. In addition to developing the “Social Compass” program (and its predecessor) as Autism Coordinator, Ms. Boyd consulted with five districts on best practices for educating pupils with autism spectrum disorders, trained staff in behavior management strategies, and assisted in IEP development. Ms. Boyd demonstrated her knowledge about the social skills challenges faced by pupils with autism and the “Social Compass” curriculum. She demonstrated her knowledge about social skills goals and objectives. Her testimony was given weight regarding the unique social skills needs of autistic pupils in general, and the place of her “Social Compass” curriculum in furthering their social skills in an educational environment. Ms. Boyd did not directly service Student so she could not offer testimony about his unique needs. 107. Ms. Boyd capably explained how the Social Compass curriculum addressed the core social skills deficits of autism in a structured setting. The program was based upon ABA strategies, and was comprised of specially-sequenced social skills lessons. Ms. Boyd stated that Student required “guided practice” during unstructured times, such as recess, to generalize the lessons learned from the “Social Compass” program. The need for guided practice was confirmed by District witness observations of Student interacting with other students during recess. District witnesses could not verify that Student was utilizing his learned social skills in interactions with students during recess in an unstructured setting without assistance. Ms. Nelson conducted the “Social Compass” program in collaboration with Ms. Anderson. She knew that Student needed assistance to initiate interactions, but, unlike his SLP, did not collect data. She did observe him introducing himself as fictional characters. Ms. Anderson did not observe him generalizing social skills lessons during unstructured recess time. 108. In the area of social skills, Student offered the expert testimony of Kelly McKinnon to challenge the deficiencies in District’s social skill-related goals and services. Ms. McKinnon is a BCBA with a bachelor of arts in psychology from the University of Maine and a master’s of arts in counseling psychology from Boston College. She has extensive experience in providing direct ABA services. She is president and clinical director of her namesake company, where she provides, among other things, social skills classes. Ms. McKinnon is a well qualified BCBA and social skills expert. She had an opportunity to observe Student after the IEP when he participated in her summer 2011 social skills program. Ms. McKinnon’s report of Student’s activities was outside the relevant time period. However, her observations gave credence to Ms. Vidal’s report to the IEP team. Like Ms. Vidal, Ms. McKinnon observed that Student was challenged by transitions and Student could not sustain an interaction with a peer for more than one minute. Ms. Boyd and Ms McKinnon agreed that Student required guided practice to interact with peers during unstructured times. Ms. McKinnon’s testimony also supported the testimony of Mother and District witnesses regarding Student’s relationships with his peers, his manner of greeting them as a movie character, or his single-minded interest in cars. 109. Ms. McKinnon offered a number of suggested social skills goals. Her suggested social goals were not given weight as goals as she conceded that they were not drafted as annual IEP goals, with a timeframe, and (in most cases) objective measures to determine progress, but as general social skills objectives commensurate in many instances with the skills naturally available to same aged neurotypical peers. 110. Ms. McKinnon identified four social skills module areas: joint attention/social referencing (which includes the ability to reciprocate interest in others and engage in a social group); social greetings (engaging with familiar peers daily for brief “small talk” to share information instead of just introducing himself with a pseudonym); social play (participating in new structured games, coordinating and participating in an agreed upon game, engage with familiar peers daily for at least 20-30 minutes, find at least one other peer with the same interest); and social behavior – awareness (demonstrating problem solving strategies with peers, independently following directions and schedules, and being conscious of the difference between strangers). 111. Ms. McKinnon’s suggested modules did not demonstrate that District failed to address Student’s unique social skills needs in its offered goals and objectives. At hearing, Ms. Boyd agreed that the modules identified Student’s social deficits, but she capably established that the social modules were largely addressed in the “Social Compass” curriculum. Ms. McKinnon disputed the wisdom of using curriculum-based instruction, and favored a program personally tailored to Student’s unique needs. However, the testimony of District witnesses persuasively established that the “Social Compass” curriculum did address the social module areas of autism and Student’s unique needs. Ms. Boyd was also able to connect the District offered goals and objectives with the social skill module areas suggested by Ms. McKinnon. 112. In the area of RSP support, District witness testimony regarding the appropriateness of pull-out RSP was given little weight. District witness testimony was contradicted by the IEP notes and the recording of the IEP discussion. The IEP recording confirms that the RSP teacher had a scheduling conflict and could not accommodate Mother’s request for pull-out services except one day a week. 113. In the area of placement, District witness testimony was contradictory and inconsistent. Ms. Towers’ testimony regarding how Orangethorpe would welcome Student as an intra-district transfer was contradicted by her admission that the deadline for requesting an intra-district transfer had passed by the time Orangethorpe notified Mother that District was insisting Student would be placed in his home school. Ms. Towers’ stated additional rationale for transferring Student also contradicted Ms. Dryer’s testimony. Ms. Towers testified that Golden Hill was a more appropriate placement because Mr. Ellis was now housed at the school and could provide support for Student. However, Ms Tower’s rationale for changing Student’s placement on this basis was completely undermined because the District did not offer autism support from Mr. Ellis as part of the IEP. At hearing, Ms. Dryer confirmed that District offered Student Golden Hill for the sole reason that in its opinion it was the LRE because it was the school closest to his home. 114. In the area of appropriate placement, Mother’s testimony about Student’s history at Orangethorpe and his unique needs, as confirmed by ACES, Ms. Nelson, and the IEP records, was given the greatest weight. Ms. Towers did not have an accurate recollection of Student’s educational history which further undermined her testimony. Mother, supported by other District witnesses, convincingly established that over the course of many years, Orangethorpe, which had been the District’s chosen placement for many years, had become part of Student’s life, in a way that allowed him to function with his disability in a general education environment. 1. District contends that the 2011-2012 IEP offered a FAPE in the LRE for Student. District further contends that because it is offering Student a FAPE, and Parents will not consent to the IEP, District should be permitted to implement the program without parental consent. Student contends that the District’s offer was not a FAPE in the LRE. Student contends that District failed to meet its burden of proof that its offer was appropriate in several areas. First, Student maintains that District failed to provide adequate or enough goals and objectives in the areas of anxiety, fine motor deficits, motor planning, sensory needs and social skills. Student specifically questioned District’s offer of the behavior-social interaction goal which required Student to engage with peers in unstructured play without an adult prompt for 11 minutes. Student requested that the goal be 15 minutes. Second, Student maintains that District’s offered OT and ABA services, including transition services, were inappropriate. Third, Student challenges two aspects of District’s offer of placement: its offer to provide RSP on a pull-out, instead of a push-in basis, and its offer of placement at Golden Hill, Student’s home school. As discussed below, District did not meet its burden of demonstrating that it offered Student a FAPE in the LRE. 2. The petitioner in a special education due process hearing has the burden of proving his or her contentions at the hearing. (Schaffer v. Weast (2005) 546 U.S. 49, 56-57 [126 S. Ct. 528].) As the petitioning party, District has the burden of proof in this case. 2 All subsequent references to the Code of Federal Regulations are to the 2006 version, unless otherwise indicated. 23. As an initial matter, the District failed to meet its burden under Rowley of demonstrating that it procedurally complied with the IDEA in the development of the 2011-2012 IEP because it predetermined the placement. As discussed below, although the IEP was procedurally proper in most respects, District’s predetermination of the placement is fatal to its contention that it provided a FAPE. 24. First, the evidence showed that the IEP team meetings were properly noticed, and the IEP team included Parents or Mother, and all necessary members of the IEP team. In particular, ACES representatives who know Student’s needs well, as well as the District educators were present and were able to fully address all of Student’s unique needs based on their observations of Student in school and in ABA therapy. The evidence also established that on matters like goals and related services, Parents and Mother fully participated in the development of Student’s program. 25. The IEP document contained the necessary content, including the Student’s present levels of performance, areas of Student’s unique needs, and measurable annual goals that were based upon Student’s present levels of performance, to address Student’s areas of need. The IEP also contained required information regarding reporting of progress on goals, classroom and testing accommodations, and the frequency, location and starting and ending dates of the proposed placement and services. The team considered Student’s strengths, Parent’s concerns, the recent OT assessment, and Student’s academic, developmental, and functional needs. The evidence conclusively demonstrated that Student’s present levels of performance were based upon extensive observations of Student and discussions between Mother and the IEP team. 26. District met its burden of proof that the goals offered appropriately addressed Student’s unique areas of need. Parents and District concurred on the vast majority of Student’s needs, present levels of performance, and goals. Of the many goals discussed, Parents disagreed with Student’s present level of performance in peer interaction during unstructured time, disputing that Student could maintain interaction for a ten-minute period. District modified the present level of performance based upon ACES data and included ACES observations as part of the present level of performance. Mother’s request to modify the goal to 15 minutes, instead of 11 minutes as offered, notwithstanding ACES observations, did not make sense. District also included structured and unstructured time in the goal based upon Mother’s request. 27. In the area of Student’s present level of performance and unique needs in sensory and motor planning, the evidence demonstrates that Student’s present levels of performance were accurate. The evidence established that Student made tremendous progress in all areas of sensory and motor planning impacting his access to education, through the services provided by Irvine, and District’s APE instructor. Irvine’s report provided the IEP team with Student’s present levels of performance, which was supplemented by District’s APE. Although Ms. Cooper’s interpretation of the results of the Print Tool, i.e., that it was a relative strength, was overly optimistic, Irvine correctly reported on Student’s handwriting ability, and the IEP team correctly noted his deficits in writing calculations. Ms. Mohan and Ms. Cooper agreed that Student could correctly orient his letters and write them correctly, appropriately sequenced and on the line. Mother did not dispute Student’s tremendous progress in his OT goals from the 2010-2011 IEP, or his APE goals which addressed his unique motor planning needs. Mother did not disagree with District’s goals in OT or APE at the IEP. At hearing, Ms. Mohan criticized District’s OT goals, but her testimony was not persuasive. The District met its burden of showing that Student’s APE goals and services addressed Student’s motor planning skills. Ms. Mohan criticized District for using a check list for Student to follow when organizing his desk on the ground that a check list did not advance Student’s ability to develop his motor planning skills by figuring out a way to organize his desk. Ms. Cooper observed that Student is unable to organize his desk, a novel task. The checklist provides guidance and structure for doing the activity independently within a classroom setting. The goal is consistent with Student’s lack of any baseline ability. 28. The evidence demonstrated that the OT assessment, upon which District’s OT offer was based, was conducted in accordance with the law, in every respect, with the exception of the interpretation of the Print Tool. Mother’s consent to the assessment was not disputed, and the assessors were qualified to conduct the assessment. The assessment was comprehensive, and the evidence established that Student’s sensory and motor planning needs were fully assessed in the context of Student’s school-based functional needs. Ms. Cooper produced a report that was provided to Parents and discussed at an IEP team meeting held before the 2011-2012 IEP team meeting. The report contained information regarding Student’s need for OT services, the basis for ascertaining that need, Student’s behaviors during the assessment, and educationally relevant developmental findings. Ms Mohan also credibly testified that the assessment did not account for Student’s underlying sensory processing deficits since only the SIPT is validated for this purpose. However the SIPT is not validated for pupils of Student’s age group, and even if it were, school-based observations demonstrated that Student could function at school despite his deficits. Ms. Cooper’s assessment was deficient in her interpretation of the results of the Print Tool. Student’s handwriting size was not appropriate for a fourth grader. However, Ms. Cooper’s assessment did not mislead the IEP team. District staff, including Ms. McDonald, acknowledged Student’s challenges, but maintained that his challenges were better served with AT, not by continued services. 29. Despite District’s procedural compliance described above, the IEP was nonetheless procedurally deficient because the placement was predetermined. The IEP team first met on April 28, 2011, with Orangethorpe staff as members of the IEP team. The meeting was continued to May 17, 2011. On May 16, 2011, outside of the IEP process, Student’s Mother was informed that Student’s placement was being changed to Golden Hill and that Golden Hill personnel would be joining the IEP team. Although Golden Hill staff participated in the second of three IEP team meetings, and Mother had an opportunity to interact with them fully regarding their program, the evidence showed that District maintained the “take it or leave it” position it had expressed on May 16, 2011, that it had already decided to change Student’s placement. Specifically, District insisted at the May 17, 2011 IEP team meeting that Student could only be placed at Orangethorpe through the intra-district transfer process available to all general education pupils, despite the discussion of Student’s unique social and transition needs. District’s predetermination was highlighted by the fact that the deadline to even apply for a transfer had passed by the time District informed Mother of its unilateral placement decision. At the final IEP team meeting on June 7, 2011, the District members of the IEP team refused Mother’s request to discuss the appropriateness of changing Student’s placement from Orangethorpe to Golden Hill. 31. Although the 2011-2012 IEP was appropriate in many respects, District failed to prove that it substantively offered Student a FAPE as well. Mother and District concurred that Student required a general education classroom and there was no dispute at hearing that general education was appropriate. Similarly, there was no dispute at hearing that District’s offer of related services in the area of LAS, and APE was appropriate to meet Student’s unique needs. Similarly, there was no dispute that it was appropriate for District to provide a classroom aide for Student. 32. District met its burden of proof that its offer of ESY and EESY services was appropriate. The overwhelming evidence at hearing established that District offered sufficient services for Student to maintain his progress, and not regress. 33. District also met its burden of proof that the social skills services provided were appropriate to meet Student’s unique needs. Student was making progress, but still challenged by peer interactions in his structured small group environment of the social skills class. He required guided interaction in unstructured settings, but this guided interaction was encompassed in the implementable goal of improving Student’s social interaction in structured and unstructured settings. 34. District met its burden of proof that it addressed Student’s anxiety and sensory needs in the school setting through its sensory diet. District designed the sensory diet at Mother’s request. Ms. Mohan’s criticisms notwithstanding, Mother did not object to the sensory diet at the IEP, and the sensory diet, as structured, incorporated a range of choices that could be implemented in the classroom setting. Mother’s reports of Student’s crying after school and his calmness after using Irvine’s motion equipment, did not justify continued clinic-based OT services. Irvine’s recommended goals did not connect to any specific services it provided to reduce Student’s anxiety. Although Student might appear calm on nights that he attended Irvine, and Irvine’s services might benefit him in that manner, Irvine’s services were not related directly to his anxiety and arousal issues with non-preferred tasks like homework. Further, ACES’ ABA services addressed Student’s anxiety and arousal issues related to his homework and notably, ACES persuasively had recommended that Student no longer required these services to attend to his school work at Orangethorpe. 35. District did not meet its burden of proof that OT consultation services only were appropriate, specifically in the area of handwriting. District maintained that Student would be better served by AT than direct OT services to address his handwriting, particularly his ability to complete math assignments. However, District did not offer any AT as a substitute for direct services, and absent an assessment could not show that Student could utilize AT to complete math problems. Although District did demonstrate that clinic-based services were not required because Student had made great progress and could function in most areas with school-based services, District did not demonstrate that consultation services in school were sufficient to address Student’s handwriting needs. Consultation services were designed mainly to guide the teacher and staff in the implementation of the sensory diet, and the evidence demonstrated that direct services were provided by the APE to work with Student on gross motor skills, not fine motor skills like handwriting. The evidence established that at the time of the IEP, Student still required direct services in the amount of 15 minutes twice weekly, by a District OT, in the same amount and frequency as Irvine provided, unless and until an AT assessment was completed and it was determined that AT support could meet Student’s need in this area. 36. District further did not meet its burden of proof that pull-out RSP services were appropriate to meet Student’s needs. Based upon standardized and District-wide assessments Student could access grade level curriculum. All IEP team members agreed that Student should be placed in a general education classroom. Student had many academic goals, but most of the goals required attention to grade level English language arts. Student historically and successfully had been provided with RSP services within the classroom. There was no evidence that Student would disrupt the classroom with push-in RSP services. Although District offered an increase in RSP services to address numerous academic goals, the RSP teacher’s only objection to providing these services in the classroom was her scheduling conflict. District’s offer was further complicated by the presence of RSPs from Orangethorpe and Golden Hill. District attempted to explain the need for the pull-out model based upon the increased intensity of services was not credible given the IEP discussion. The evidence showed that the District’s offer of RSP services was made according to the schedule of Orangethorpe’ s RSP teacher, rather than Student’s needs, such that it did not constitute a FAPE. 37. Finally, District did not meet its burden of proof that a change of placement from Orangethorpe to Golden Hill was an appropriate placement in the LRE. The law prefers, but does not require, placement at the school closest to a pupil’s home. Student has been in Orangethorpe since kindergarten. His bus ride is only one-half hour and he is accustomed to it. He is well known by Orangethorpes’ teachers and his peers. He has difficulty with transitions. ACES and other District staff objected to placing him at Golden Hill because of their relationship with him and his comfort with the school environment. No evidence was presented that he would have the same comfort and familiarity at Golden Hill. District’s argument that it would be socially better for Student to be with peers from his neighborhood has little weight, considering it was District who placed Student at Orangethorpe, away from the peers closest to his home, for the entirety of his elementary school career. District’s argument is further undermined because the evidence showed that ultimately pupils from Orangethorpe and Golden Hill attended the same middle school. 38. District’s assertion that it was required by law to place Student at his home school because he was in general education is misplaced, and is not supported by its own record. District placed Student at Orangethorpe through the IEP process since kindergarten, and well after it transitioned Student from an SDC to general education. Student’s IEP team consistently listed Golden Hill as his home school, and Orangethorpe as the offered placement. The IDEA mandates an appropriate placement to meet the child’s unique needs. While there is a preference for placement at the school the child would normally attend that is closest to home, nothing in IDEA mandates such a placement unless it is appropriate. District did not meet its burden of showing that the change of placement was appropriate because District did not offer appropriate ABA services to Student for Student to transition to Golden Hill, and to provide Student support to navigate the new environment. Student was challenged by transitions and would have difficulty navigating a new school without continued ABA services from ACES. District stated in the IEP that it was following the transition plan recommended by ACES, but it was not. ACES did not recommend that services terminate after one month, but that the team develops a transition plan at that time. Mr. Ellis, District’s autism supervisor, confirmed that District did not offer a transition plan. Based upon ACES’s recommendations, which District historically accepted and relied upon, District did not meet its burden of showing that the change of placement to Golden Hill was appropriate because the IEP offer failed to contain appropriate ABA services with a transition plan. 1. The 2011-2012 IEP did not offer Student a FAPE. 2. District may not implement the 2011-2012 IEP without parental consent.